A story from Health & Education Fund Impact Partner FACT Oregon. From diagnosis, disability is often presented as a deficit and a reason to segregate. This leads to lives of limited growth, social isolation, loneliness, poor health outcomes, and underemployment for too many Oregonians. FACT Oregon empowers families experiencing disability to pursue whole lives and change the trajectory for their kids to one of unlimited potential. Parents are hungry for support, resources, and ways to engage in community. FACT Oregon provides trainings, peer-to-peer support, and community building programs for families of youth experiencing disability to help change life trajectories. We support families across all 36 Oregon counties and are parent-led. Our board maintains a majority membership of parents, and all leadership and program staff are parents of youth or young adults experiencing disability. Our person-centered, collaborative support services and trainings cover special education, assistive technology, behavior as communication, inclusive recreation, disability awareness, becoming a welcoming community, family networking, navigating disability service systems, person-centered planning, transition to adulthood, and more. We are experiencing record-breaking call volume, with a 32% growth in calls from families seeking support over the last year. One question we often ask families when they call or attend a training is: "What is your vision for your child's future?" That one question reminds families that they have the power to change trajectory, to hold high expectations, and to give their kids the opportunities they need to live whole lives of self-determination and inclusion. One of our newest programs, the All Ability Tri4Youth, helps improve the health and well-being of young people experiencing disability by encouraging physical activity in community. A major factor in the high obesity rate for people with disabilities is limited access to sports and recreation. FACT Oregon's All Ability Tri4Youth, the only barrier-free triathlon on the West Coast, actively demonstrates how to design programming that welcomes people with disabilities more fully into sports and recreation. Participants get a chance to explore swimming, biking, and running, and families connect with local sports and recreation resources that their youth with disabilities can access. Find out more about FACT Oregon at www.factoregon.org, and register today for our All Ability Tri4Youth, which will take place August 10, 2019 at Tualatin Hills Athletic Center in Beaverton. The Kaiser Permanente Community Fund (KPCF) at Northwest Health Foundation was founded in 2004 with an initial $28 million investment by Kaiser Permanente to improve conditions for health. As we learned how to best partner with community organizations, we made pivotal decisions that changed how we operated. In this story, we tell how OPAL Environmental Justice Oregon taught us the benefits of setting the stage without defining the script. Youth Environmental Justice Alliance onstage at the 2017 Climate March. If Tommy Jay Larracas is able to catch one of the few buses that leave after-school activities, he settles in for a long crowded ride. It can take more than two and a half hours to get home, which leaves little time for chores and homework. The same is true for his morning commute; if he can’t catch the early school bus, he has to scramble to find money to pay for a ride on the public bus. When he doesn’t have the extra money or time, Tommy can’t find a way to get to school. When Kaiser Permanente Community Fund first decided to focus on improving educational outcomes for Oregon youth, we weren’t thinking about how students get to and from school. Among other funders, we heard lots of discussion about creating new after-school programs, but we rarely heard discussions about what young people need to actually get to those programs. Once we learned that public transit was a major barrier for students of color to participate in school and after-school programs, we decided to fund OPAL, even if it took us outside of our comfort zone of funding traditional educational programs. “We trust OPAL, because OPAL’s work is led by the communities OPAL serves. This campaign, for example, was led by youth of color from high schools throughout Multnomah County,” said Michael Reyes Andrillon. OPAL was successful, not only in Oregon, but across the nation. Their community-led Campaign for a Fair Transfer led to a change in federal policy that requires transit agencies to conduct an equity analysis before changing transfer times. OPAL’s YouthPass to the Future campaign also convinced local policymakers to expand the YouthPass program to give public transit passes to students to two additional Portland-area school districts. Youth in the program, like Tommy, now have a consistent, reliable way to get to and from school and other opportunities across the city, although recent budget cuts mean that OPAL must once again campaign for the program. Again, youth are taking the lead. From our experience with OPAL, KPCF learned about what is possible when we invite community-driven solutions. Instead of defining specific outcomes we want to fund, we articulate a vision and invite community-led organizations to define a path to get there. By doing so, we learn from the communities most impacted by barriers to health and begin to see new solutions for established problems. The Kaiser Permanente Community Fund (KPCF) at Northwest Health Foundation was founded in 2004 with an initial $28 million investment by Kaiser Permanente to improve conditions for health. As we learned how to best partner with community organizations, we made pivotal decisions that changed how we operated. In this story, we tell how Resolutions Northwest taught us to focus on the roots of health, even when it pushes us out of our comfort zone. 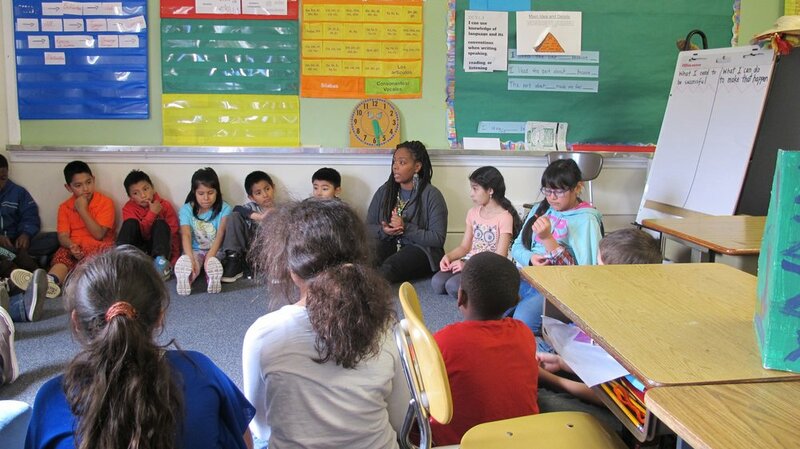 Restorative Justice Co-Director Natalia Mathews leading circle with students at Rigler. Rigler Elementary School felt a lot different before Resolutions Northwest brought restorative justice to the school. Ten years ago, if a student ignored instructions or disrespected a teacher, they would have received a referral. In some cases they may have been sent to the office and spent a portion of their day there, missing critical instruction time. As referrals built up over the course of the year, the student may have faced suspension or even expulsion. Restorative justice holds students accountable without the strict punishment that is often disproportionately applied to students of color and students with disabilities. It is a philosophy and practice to address harm between individuals and communities and undo systemic patterns of institutional racism and oppression. 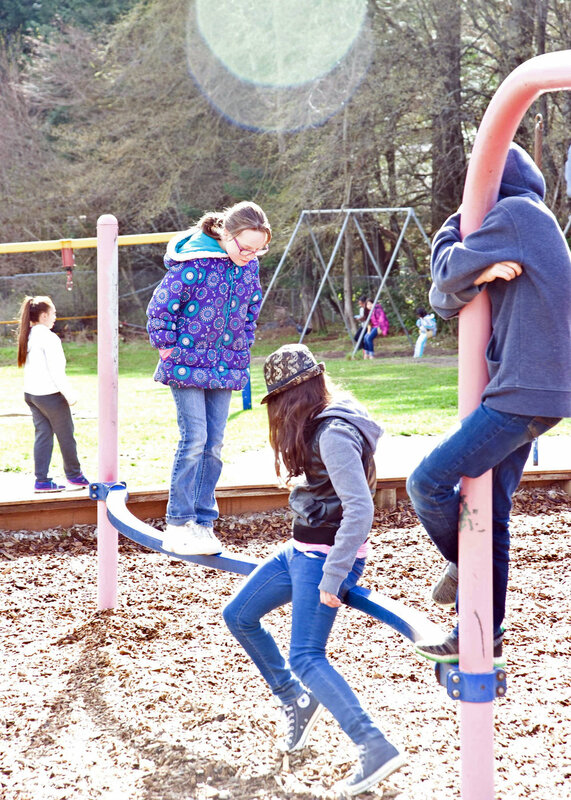 “Our goal is to build, maintain, and repair relationships in order to foster healthy and inclusive school communities,” said Christina Albo, director of restorative justice for Resolutions Northwest. Restorative justice uses dialogue and social-emotional learning to teach young people to navigate their emotions and take responsibility for their actions. The skills it teaches create healthy habits that last a lifetime. In schools where restorative justice programs have been implemented, there has been a decrease in the difference of academic and disciplinary outcomes between students of color and their peers. During three academic years (2011-2014) of the Restorative Justice Program at Rigler Elementary School, African American and Latino students’ rate of major disciplinary referrals declined compared to their White peers. Relative rates began to rise in 2014-2015 when the program didn’t operate that year. As KPCF matured, we decided to focus on education as a key area for investment that can create health in our communities. With stated values around social and racial equity, we were introduced to the work of Resolutions NW. “Education is a key factor to determining life-long health. We can’t measure impacts to health immediately, but we can find other indicators to measure our progress toward healthier communities. 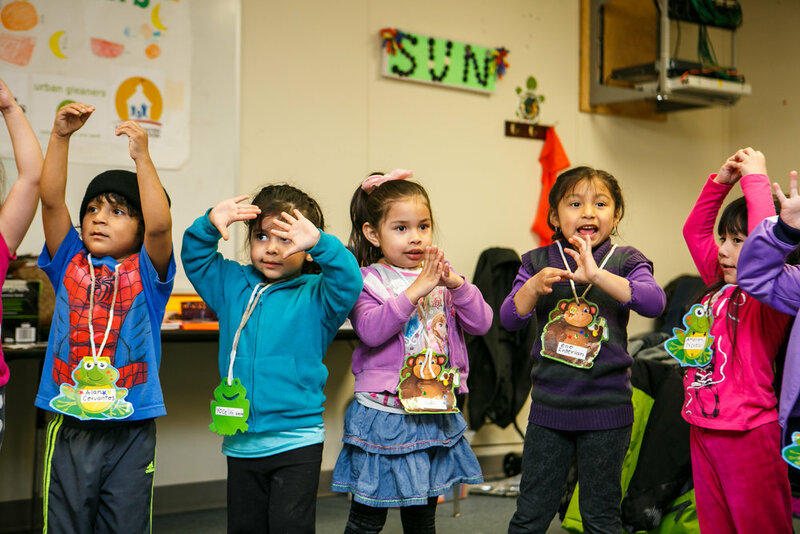 Resolutions Northwest helped us see how we can realize our vision by improving graduation and school discipline, and decreasing bias against students of color and students with disabilities,” said Michael Reyes Andrillon, Community Engagement Officer with Northwest Health Foundation. With our support, Resolutions NW was able to expand their pilot into five additional schools and develop a partnership with Portland Public Schools. They now work closely with the district to reduce disproportionate discipline for youth of color and have even negotiated a multi-year contract with the district to build restorative justice into the district at all levels. “Looking back, we now see that creating partnerships between schools and community organizations is key to creating health. Schools are asking for help, and the solutions they need can be created only in partnership with the students and families in their communities,” said Michael Reyes Andrillon. 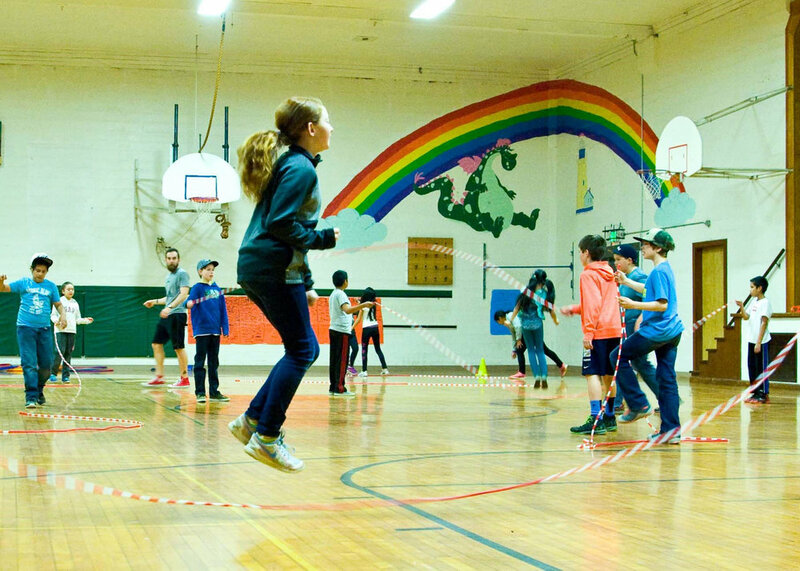 As a result of how we matured as a fund, and the decisions we made to address the roots of health in education, Resolutions Northwest has been able to nurture school efforts that give students a greater chance to live vibrant, healthy, and fulfilling lives. A story with Healthy Beginnings+Healthy Communities Collaborative Immigrant and Refugee Engage Project. Every family and community wants their children to succeed in school. Oregon’s Somali community is no different. However, the Somali community faces some additional barriers to education in the United States. For one, there’s the language barrier. Even if a Somali student speaks English fluently, members of their family, including their parents, might not. That means it is challenging for parents to engage in their children’s school. (It’s been shown that parent involvement advances learning.) In addition, as Somali children lose their native language, it becomes harder and harder for them to communicate with older generations of their family and community. There is also a cultural barrier to education for Somali families: most Somali Americans lived in refugee camps for years before they moved to the U.S., and the refugee camps did not have formal schools. Therefore, it’s no surprise that Somali children, youth and their families might have trouble understanding and navigating Oregon’s school system. As a result, many Somali students drop out. Concerned Somali parents and community members met with Portland Public School District officials, hoping to solve these problems. At first, PPS offered money to the Somali community for afterschool problems. “Money is great,” said parent and community member Isgow Mohamed, “but that’s not the issue.” What they really needed was someone in the schools who spoke their language and understood their culture: a Somali teacher or administrator. Thanks to the Somali community’s advocacy, PPS hired a Somali teacher to teach at Rosa Parks Elementary School, and occasionally visit other schools as well. And, they’re determined to place more Somali teachers in more schools across the district. That way, Somali children and youth will feel supported in the classroom. Parents will have someone they trust who they can bring questions to. Teachers will encourage students to speak Somali, as well as English. If all goes well, Somali students will thrive. It is doubly difficult for immigrants and refugees from non-English speaking countries to advocate for themselves. They may not be comfortable speaking up for themselves in English. In addition, they may come from countries where civic and political engagement is discouraged, sometimes violently. The Immigrant and Refugee Engage Project, led by their Multiethnic Advisory Group, engages and supports immigrant and refugee community members to participate in storytelling and advocacy for systems change. Northwest Somali Community Organization is one of their core partners. A spotlight on Healthy Beginnings+Healthy Communities Collaborative Youth Equity Collaborative. The Youth Equity Collaborative at the Oregon Students of Color Conference. Youth voices often go unnoticed and unrecognized in social justice movements. Youth leaders are undervalued due to their "lack of experience." But, when it comes to youth, people are measuring experience the wrong way. Youth have plenty of experience – their own lived experience. Youth are their own experts. The Youth Equity Collaborative, made up of youth-led social justice organizations, including Multnomah Youth Commission, Latino Unidos Siempre, CAPACES Leadership Institute, OPAL Environmental Justice Oregon's Youth Environmental Justice Alliance, Oregon Students of Color Coalition with Oregon Student Association and Momentum Alliance, values and prioritizes youth voices. The Youth Equity Collaborative encourages collective youth action and including youth at decision making tables when the decisions will affect youth, because youth are capable of making change. Some of the challenges youth face are lack of affordable transportation, financial support and accommodations for their participation, as well as lack of opportunities. The Youth Equity Collaborative does its best to support our youth and aims to remove barriers by providing reimbursement for transportation, providing bust tickets and childcare as needed. They also provide opportunities for youth to explore, network and participate in leadership development by sending them to conferences, gatherings and lobby days. Why did the organizations that are part of the Youth Equity Collaborative choose to join the Youth Equity Collaborative? To build relationships and network across organizations. To engage the community on a greater scale. To create a coherent and unified youth voice across the state. To learn and share effective organizational practices. To foster a support network for youth involved in social justice movements. What has the Youth Equity Collaborative been doing lately? Building relationships, including meeting monthly, playing fun games and discussing what "our future looks like." Participating in the Oregon Students of Color Conference and Communities Collaborate gatherings and traveling together. Creating content for social media campaigns.